Government representatives and business leaders of African nations are currently meeting in Addis Ababa, Ethiopia, for the 4th African Green Revolution Forum (AGRF) that will provide a platform to discuss and coordinate strategies to usher in a green revolution and improve food security in the continent. The meeting will conclude on Thursday. This year marks the African Union Year of Agriculture and Food Security. According to a BBC report, AGRF will focus on delivering an agriculture-led economic growth in sub-Saharan Africa. The forum brings together close to 1,000 leaders from farmers’ associations, agribusiness companies, research institutes, NGOs and African governments to engage each other on the new vision that was agreed to by African heads of states earlier in the year. In June, the African Union issued a declaration to double food productivity and bring down poverty by half by 2025. “I am proud that many African nations are becoming economic powerhouses, but without a viable agricultural sector and a strong rural economy, there cannot be a viable future for Africa,” the report quotes Kanayo Nwanze, president of the International Fund for Agricultural Development. As per official estimates, 200 million Africans are chronically malnourished and five million die of hunger every year. 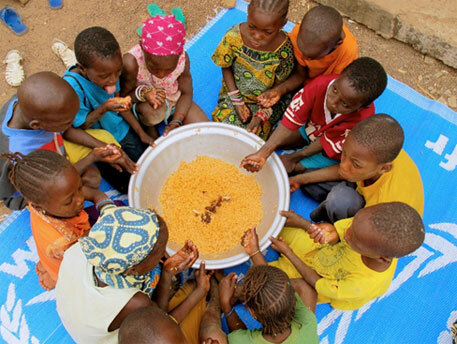 At least 126 million children in Africa are underweight. The forum “occurs in a context of new political will, a doubling of public and private investment in agriculture, increased GDP per capita growth rates, growing demand for Africa’s resources and markets and the emergence of new and innovative multi-stakeholder partnerships to transform agriculture and adapt to the challenge of rapid climate change,” states AGRF’s website, www.agrforum.com. This year’s theme of AGRF is “Beyond the tipping point: A new vision and strategies for inclusive and sustainable transformation”. The meeting will address critical issues related to Africa’s food security—increasing food productivity as climate change presents more challenging growing conditions; promoting agricultural investment that generates benefits at all economic levels; increasing financing for agricultural development; garnering support for modernising commodity markets; and removing barriers to intra-regional trade, reports allafrica.com, a news website.